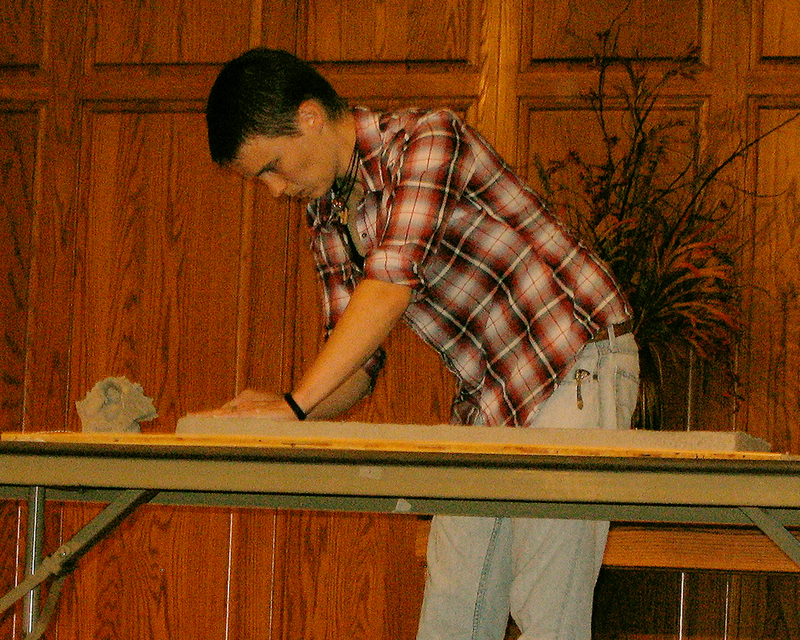 Working at Hesston College’s Chapel, November 2010. Can’t really remember what I said, but I felt good about it. This was one time where I said exactly what I wanted to say, and didn’t try to be anything but me. It worked. Public speaking is so hard for me, but when I do it how I want to, it’s actually really fun. I had the pleasure of taking a workshop from Paul back in the day… and helped build his clay mixers for 6 years. What a guy. Hope the exploration continues on the other side, my friend. Thoughts and support to everybody.